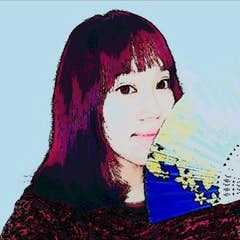 Samina Fu is currently a master student in computer science at National Chiao Tung University (NCTU), Hsinchu, Taiwan. She has been a Network & Systems Engineer in NCTU Information Technology Service Center, where she developed the network operation platform, IT security platform development using Python and Django. She is interested in the various open source and is a member of CDNJS, a free and open source project on GitHub to organize all the famous web front-end development resources and provide them to the developers with faster CDN infrastructure. Also, she create an aggregation tool - TGmeetup. For collecting the technical meetup information and getting the activity from meetup platform, such as Meetup, KKTIX … etc. The user can use this tool to find technical meetup and attend it. Hope this tool can help people join technical meetup smoothly. Her current research interests include Software-Defined Networking (SDN) with emphasis on Open Network Operating System (ONOS). Now, she is an intern at Industrial Technology Research Institute (ITRI) & Linker Network, Taiwan. Her jobs are related to Kubernetes, Ansible, Network.